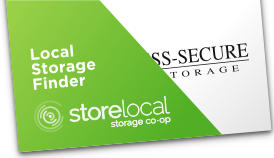 Fortress-Secure Mini-Storage is helping you find friendly locations in areas we do not serve. The following facilities are NOT associated with Fortress-Secure Mini-Storage! Which unit size is right for you? Send me facility hours and directions by email and text. Where would you like to post a review?